Comedian Suzanne Westenhoefer cannot assure her audience she will stick to a certain theme or what kind of jokes she will make. She doesn’t even have a name for her current tour. However, she does promise that straight or gay, boy or girl, attendees will laugh. Though her first time on stage didn’t go well (by her own admission), her career took off through the ‘90s. 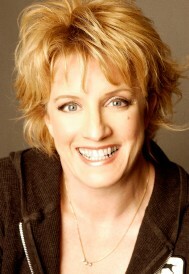 In 1991, she became the first lesbian comic to appear on television, when she was on an episode of “Sally Jessy Raphael” called “Breaking the Lesbian Stereotype: Lesbians Who Don’t Look Like Lesbians,” and then went on to be the first openly gay comic to host an HBO Comedy Special in 1994. Posted February 2nd, 2013 & filed under Entertainment.